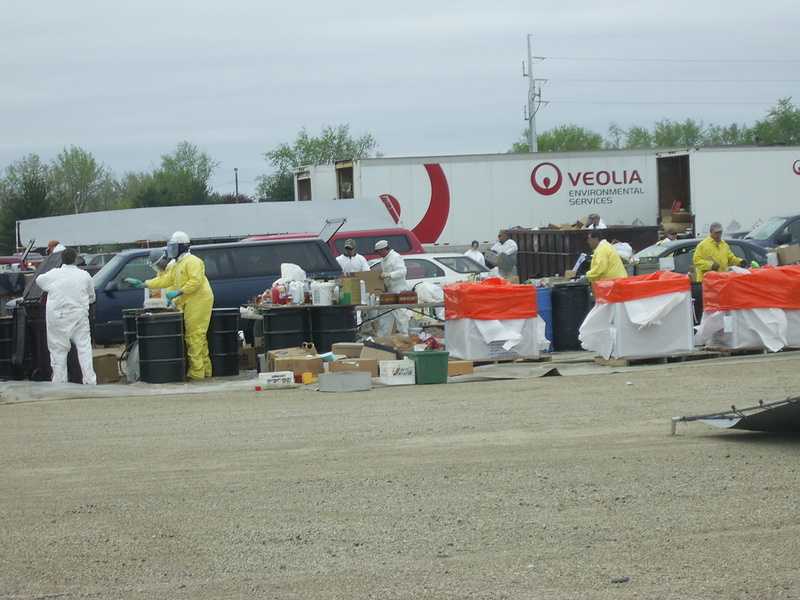 Hazardous Waste works empty the cars of residents who attended the event at Expo Gardens in 2008. Many people now understand that certain materials such as motor oil, paint, or pesticides cannot be added to curbside waste pickup and require special methods for disposal. Many of these household materials release toxic gases into the air of the home, are a danger to plant and wildlife if they are spilled, and can even enter the water table through runoff. The Illinois Environmental Protection Agency partners with organizations around the state to host single day collection events. Last year, a household collection event was held at Exposition Gardens in Peoria. This year, the Tazewell County Health Department is co-sponsoring a collection day on June 13 from 8:00 AM to 3:00 PM at the Festival Building on 2200 E Washington St in East Peoria. The event is free to Illinois residents – not just Tazewell County residents – and will be held rain or shine. Bring materials in sturdy cardboard boxes lined with plastic bags. Keep product in their original containers, securely capped or sealed, with contents clearly labeled. Do not mix or combine products. View the flyer from the Tazewell County Health Department here. Learn more about these event from Illinois Environmental Protection Agency here.